PowerGate provides full-cycle development of scalable enterprise mobility solutions. We deliver software architecture, back-end, front-end, and quality control to automate field operations, facilitate communication and increase business productivity. In addition to industrial automation, our enterprise mobility solutions provide easy access to shared data and applications from anywhere in the world. We facilitate teamwork within large organizations contributing to faster and more efficient decision-making. Mobile developers at PowerGate create software systems that prevent unauthorized access and protect corporate data stored on mobile devices. 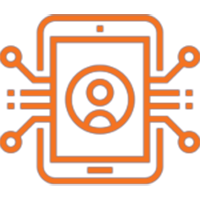 We create secure enterprise solutions for multiple industries, offering in-house expertise across all technology stacks (Android, iOS, and more. Mobile devices automate routine tasks and processes optimizing operational costs. Our dedicated development teams help enterprises cover the growing demand for enterprise mobility solutions and utilize the latest technologies and practices.